When was the last time you enjoyed a little self-care? If like many moms you can’t even remember the last time you did something for you, it’s time to make a change. As a new mom or dad, life changes pretty quickly. Suddenly, your entire focus and energy becomes all about the needs of your baby. It’s understandable, but it’s also potentially damaging; not just for you but for baby too. The thing is, if you aren’t taking care of yourself, you’re not going to be able to properly take care of your little one. A happy mom and dad equals a happy baby, so self-care shouldn’t be seen as a luxury; it should be considered an essential. So, if you’re exhausted, overwhelmed, and you don’t even seem to be able to find time to eat some days, how can you fit in a little self-care? Well, the main question should be, how can you afford not to? There are ways you can fit self-care tasks into your routine. 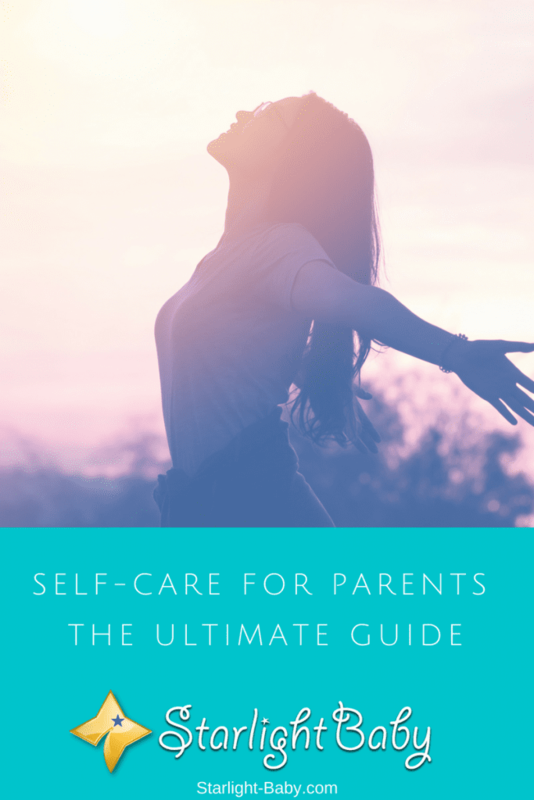 Below, you’ll discover 20 self-care tasks and tips for parents that will fit around even the busiest schedule. One of the biggest complaints moms have in the first year of parenthood, is that they feel like they’re going crazy being stuck indoors with nobody to talk to. If you’re starting to feel stressed out, isolated and like you’re slowly going insane, it’s time to get out of the house. Even just a 5 or 10 minute walk will help to clear your head. Ideally, you’ll want to take a walk by yourself. However, if this isn’t an option, taking baby with you will still be beneficial. Sometimes you just need a little fresh air and a change of scenery to recharge your batteries. One of the biggest sources of stress as a new parent is the pressure you put onto yourself. Many moms in particular feel like they have to do it all. The need to be superwoman can really take over and when you inevitably find that you can’t do it all, it makes you feel like a failure. This in turn can lead to depression, anxiety and plenty of additional stress. So, if there’s just one self-care task you set, make sure you resolve to be kinder to yourself and realistic in the things you can achieve. If you have a bath, use it! Just one relaxing bath a week can make the world of difference to how you feel. When you’ve put baby down for the evening, run a bath and add some essential oils such as lavender. This will help you to really relax and unwind, preparing the body for sleep. The trouble is, when you’re stressed and run down from taking care of your little one all day, it can be really difficult to unwind and get to sleep. If you have trouble sleeping, you’ll start to feel more run down, more stressed out and eventually you’ll start to get ill. So, a nice relaxing bath can help combat sleep issues, ensuring you wake up feeling recharged and ready to resume your parenthood duties. Ideally, you’ll want to try and sleep at the same time your baby does. This is one of the most commonly suggested tips given to new parents, but the trouble is it’s not always easy to fall asleep when baby does. If you really struggle to sleep during the day, simply taking the time out to rest is a good alternative. Avoid doing any chores and try to avoid worrying about the things that need to get done. This is your time so sit or lie back, read a book, meditate, write in a journal or listen to a little music. Whatever helps you to relax, do it. It’s common for new parents to let go of their pre-baby diet. Whether it’s because you don’t have enough time to cook, or you’re too exhausted or busy to sit down and eat a proper meal – failing to keep up a healthy, balanced diet can have a significant impact on your wellbeing. Remember, food is fuel. So, if you aren’t getting enough of it, or enough of the right foods, you’re not going to feel your best. If you don’t have time to have a full, sit-down meal, make sure you stock up on healthy snacks. Drink plenty of water throughout the day and aim to cook from scratch more frequently. If you do struggle to find the time to cook, do it on a day you can get a babysitter. Cook in bulk and stick it in the freezer so you have nice, quick, healthy meals to eat during the week. Just eating properly and drinking plenty of water can make you feel so much better within yourself. A whole weekend? But you barely have time for a 5-minute nap! With a little help, it is possible to take a full weekend off. If you have a partner, let them take care of the baby for the weekend, or ask a friend or family member. Aim to spend the entire weekend by yourself. Spend the time doing something you enjoy away from home. Don’t waste it doing chores – pamper yourself and forget about your everyday responsibilities. How often do you get to spend a whole weekend to yourself without baby, your partner or chores? A weekend to yourself is extremely beneficial to your wellbeing and it’s absolutely necessary to have a little time off every now and again. Taking up a new hobby, especially one that’s creative, is a fantastic self-care task you can set yourself. Make your own scrapbooks, paint, create your own decorations for the home or even take up flower arranging. Learning a musical instrument, singing, or taking on DIY projects can also be a great choice. Creative activities are great for the brain and can really help you to enjoy life a little more. Even gardening, cooking or sewing can be great hobbies to take up. It gives you something else to focus on other than motherhood / fatherhood and can also really help to reduce stress. Music can be really good for the soul. If baby is sleeping, stick on your favorite tracks. You can use headphones if you’re worried about waking baby up, just make sure you can hear if they start crying. Try experiment with different music. Piano and string instrumentals can be really relaxing to listen to, while beach or classic style guitar music can be really uplifting. Just 10-15 minutes listening to music can do wonders for your stress levels. We already mentioned in task #1, that one of the key struggles of being a new mom is feeling isolated. As well as getting out of the house, it’s important to connect with other adults. If you spend the majority of your time with your baby or toddler, the lack of adult conversation is eventually going to really get to you. Make plans to go for coffee with your mom friends, join a local group or simply make plans with the family. You could even reach out to your neighbors and invite them around for a meal. Adult connections are extremely important and can help to stop you feeling like you’re going insane. If you’d prefer not to leave the house, you’re welcome to join our parenting community. We’d love to have you as a part of it! You’re also going to want to connect with your partner. When baby comes along, it’s easy to let your relationship slide. This can lead to constant arguments, a lack of support and resentment towards one another. Your relationship is even more important now than it was before baby, so you need to make the effort to keep the spark alive. You don’t have to host regular date nights. Just one each month will make the world of difference. When baby comes along, the last thing you think you have time for is exercise. Even the thought of doing anything remotely strenuous can make you want to take a nap! However, although new moms and dads are undoubtedly busy, exercise is still required to help you stay fit, healthy and happy. Whether you have just 10 minutes a day, or you can sign up to a weekly hour-long exercise class, it’s important to get your body moving. You could even invest in some home exercise DVDs if you can’t find the time to get to a gym. Exercising won’t just help you to look and feel better about your body, but it will also release endorphins which will make you feel better mentally too. Let’s face it, as a new parent you sleep whenever you can! However, getting into a poor sleep schedule can have all kinds of negative effects on your health. If you want to improve your sleep schedule, you’ll want to avoid stimulants late at night such as coffee. It also helps to start getting into a relaxing routine. This could be a bath, followed by listening to relaxing music or reading a book and drinking a nice hot mug of cocoa. Just like baby, you need a routine too. The more sleep you can get, the less overwhelmed you’ll become by your constant motherly or fatherly duties. So many parents neglect their own healthcare when baby arrives. You may ensure baby has all of their health checks, but if you don’t have them yourself, both you and baby could end up suffering. Make sure you have all of your check-ups, pap smear, shots and tests. After all, if you don’t look after your health, who is going to take care of baby if anything happens to you? Do you constantly find yourself saying yes to things just to keep other people happy? Or, maybe you find it difficult saying no to the never ending daily chores that keep cropping up? If so, now’s the time to learn to say no. The trouble is, if you’re constantly saying yes to everybody and everything, you’re going to end up absolutely exhausted. This in turn can lead to sleep issues, a poor diet, increased stress and illness. Saying no to the things that aren’t essential is one of the best self-care tasks you can set yourself. A great tip for moms really struggling with time constraints, is to split down some of the recommended self-care tasks. One of the best examples of this is pampering yourself. Say before you became a mom you used to spend a day coloring your own hair, giving yourself a manicure and replenishing your skin with an exfoliating mask. Obviously finding the time to do all of this in one day now would be extremely difficult. However, if you break it down into smaller tasks, it’s absolutely possible to maintain your old care routine. One day, color your hair, then the next wash and cut your nails. The day after you can then paint your nails, then finally the day after give your skin the body mask treatment. It may take a little longer, but you’ll still feel awesome once it’s all done. A gratitude journal can really help you to stay focused and positive. As magical and rewarding as being a parent can be, there’s no denying it’s one of the toughest jobs around. There will be days when you’re emotionally drained, overwhelmed and even doubtful over your abilities as a mom. On these days, reading back through a gratitude journal can make a huge difference to your mental wellbeing. All you need to do is each day, write a list of things you’re grateful for. It doesn’t have to be a long list. You can set it to just three things a day, or write as many things as you can think of. Then, whenever you need to, simply look back on the entries you’ve made and it will instantly give you a little boost. Technology is awesome, well at least it is in small doses! When you’ve had a long, draining day, the easiest thing to do is cave in to the comfort of the sofa, mindlessly watching the TV. Or, scrolling through your smartphone to see what you’ve missed during the day. However, if you spend too much time with technology, it can actually have a major impact on your stress levels. If you use technology late at night too, it can really affect your sleeping pattern. So, resolve to spend less of your free time using technology and you’ll soon start to see you feel a lot more relaxed! If you struggle to stay positive, inspirational quotes can be really useful. A quick internet search will present thousands of quotes you can print out, frame and stick on the wall. They don’t have to be cliché’s either. You could even look out for funny mom quotes. That way, whenever you walk past them, you’ll be reminded of the humor in the situation. Whatever motivates and inspires you, print it out and put it somewhere you’ll see it regularly throughout the day. Another task that’s going to be great for your mental wellbeing is learning to accept the things you cannot control. You’ve already got enough to worry about, so why waste the precious energy you have left worrying about the things you can’t control? It’s useful to make a list of your worries and then split them down into what you can and cannot resolve right now. For the worries that can be controlled, set goals to tackle them step-by-step. For the ones you cannot do anything about, resolve to just forget about them for now. After all, if you can’t do anything about them, what good is worrying going to do? This may sound like a strange one to finish with, but have you ever noticed how relaxing it is to simply sit, watch and listen to running water? If you have a creek or lake nearby, try and visit at least once a week and just sit for 10 minutes listening to the gentle flow of the water. Alternatively, if you have the money it’s worth investing in an ornamental indoor fountain. They come in a range of sizes and all you need to do is plug them in when you need a little relaxation time, sit back, close your eyes and listen to the sound of the water. It’s amazing how relaxed you’ll feel afterwards. So, there you have it – 20 self-care tasks you can practice right now. Taking care of baby is obviously important, but so too is your own health and happiness. It doesn’t make you a bad mother or father for needing a little “me time”. Have any tips of your own you’d like to share? We’d love to hear them. Do us all a favor and share yours in the comments below! Hello, thanks for the tips you mentioned! Me and my toddler used to dislike lakes and anything water-related but now seeing this it gave me( i hope him too) the motivation to go and see lakes, swim in the sea and so on. Yes, you should really try water-related activities or even visiting a lake or a beach. I don’t know how it would appeal to you but I’m sure you will like it. Bodies of water, especially when they’re calm, gives me a soothing, calming effect. And this is something we, parents, really need when things become too stressful. I agree with you. Maybe that’s the number one reason why I never complain of boredom because my house is nearby the beach. Every early morning I walk in the seashore with my husband and my baby for at least 20 to 30 minutes. The sea breeze can make you relax and the sounds of the wave have a calming effect to me. Are you sure you have written this blog only with parents in mind.? Give me a break. This is gospel for every individual who is born and who wants to live a life of peace and tranquility. I am a senior and I follow most of what you have outlined here. I like that thing about watching flowing water. We have a waterfall in our house and yes that sound makes our day. I agree with you that happy parents equal a happy baby. If you aren’t happy yourself you can’t take care of your baby the way you can when you are feeling good. That is why taking care of yourself is extremely important for me. At the beginning, I admit that I neglected myself a lot since I was giving all of my time and attention to our newborn but after a while, I wasn’t feeling okay and had to have some “feel good” time. My favorite way is to pamper myself at evenings when I put our boy to sleep. I make myself some nice, warm bath with essential oils and simply relax. It works really nicely. You’re right, Jane. Taking care of the baby often makes us forget to take care of ourselves, too. This is a very important factor to keep our sanity. I remember when I had my first baby… I had to leave my job to stay home and take care of him because we can’t find a nanny. I was used to going out of the house everyday to go to work. So after a week, I was feeling really stressed, I felt isolated. I became very irritable and moody, and had to get out of the house and be somewhere. It took quite a while to get used to being home but eventually, I got used to it. When things become too unnerving these days, I go out and go to the mall or get a massage. It really helps. This is really informative and you can learn a lot. I will tell my girlfriend to read this because we are having our baby soon. Thank you so much for the tips. Please do, Gerald. I’m sure she’ll learn a lot from this article. Being a first time mom or dad can become too much at times so you both need to keep these tips in mind. We’re hoping it could help you a lot along the way. What you said about the water element is really funny,haha. It’s my first time to encounter such an experience with water. Yes, a gratitude journal sounds like a very good idea to remind us of our blessings. Reading through it would surely light up our gloomy days because we have a lot to be thankful for. I need to start that, too. When I was getting ready for parenthood I had not realized that parenting was such a demanding work. I listened to my parents, sisters, and elders; I read books and consulted experts. “Why are they making things complicated.” was the thought that evolved in my mind after I listened to people and read books. Now that I am a parent, I understand why they were giving me advice on parenting. Parenting is no easy work. When you are a parent, you will not find time for yourself. When my wife is busy in the kitchen, I will have to attend the baby. I have to stop working once, baby cries. When I am busy, my wife has to attend the baby and she will have no time for a lipstick. Thanks for this great article. It helps. You’re right, vinaya. One is not able to comprehend the complexities of being a parent without actually experiencing it. Only then will he/she realize that it’s not an easy task and a really big responsibility. After all, we are raising the future generation who will eventually decide things for us when we become old, so we need to do really well, otherwise, we could be doomed, haha. This is very informative and reliable information on every parent that wants a happy life together with his/her partner and children. I will you use this article for my future purposes if I’m gonna marry someday. Thank you for sharing it, it’s very truthful and practical. We’re glad to be of help, jogoy02. These are really practical tips that evey parent needs to be familiar with to keep their sanity and well-being. Parents tend to neglect themselves and their needs when the baby comes. This is a good reminder that they shouldn’t because their well-being is as important as that of their loved ones. After all, our kids and partners rely on us, we are their go-to person, so if we become unwell, we will fail to care for them. Truly you have listed them all! I cannot agree more. What I do say from my experience is that you need to be vigilant and not loose your identity as you get immersed in the hectic parenting life. There is nothing worse than finding yourself questioning your sanity and what is your purpose in life! As in all things, moderation is the key. So while you tend for all the needs of the family it is of the utmost importance that you take care of yourself and your other half. Make free time for each other to be yourselves once again. Very well said, Michael. I love everything you said. Parenthood can truly drive you to the brink of depression and feelings of worthlessness if these tips are not taken seriously. As you said, “moderation is the key”. We should also love ourselves, not just our loved ones. I agree with all of the tips mentioned above. Sometimes just accepting yourself of things you cannot do really works. When you take care a baby, you want to be on hand always at all times. You make sure everything is well planned and very detailed. It drains us all the time setting a big standard for ourselves as moms. By accepting we cannot do all and some things are out of our control would mean taking it one at a time and not being harsh on ourselves. In this way, we will enjoy being a mother more than you ever realize. Parenthood is like an INSTINCT that you can do everything even without experience. The daily normal routine is boring, sometimes even lead to depression the anxiety and pressure of parenthood. Thank you for this 20 self-care task that we could practice to avoid negative thoughts. It’s applicable for others too eho sometimes feel overwhelmed with their work. I don’t print and frame inspirational qoutes but I really like reading when I feel down, I find it effective on me so that’s my outlet of my emotions. It’s great to know these reliable and informative topics to help us some parents who are struggling between work and parenthood life. It’s nice to see that other parents are getting useful tips from the blog as I do. One thing is that reading daily on this blogs has given me confidence and courage to get marry and not to be afraid of being a father soon. It’s great that you have same effects as well. Understanding what new moms eat can contribute so much to their recovery from childbirth. Eating lots of fruits can go a long way in ensuring that they feel refreshed always and having enough of vitamins from those fruits. Also, sleeping anytime they have the chance is necessary to avoid cases of stress and all that. Sometimes I see music as being magical because the power it possess in getting one to have a fresh mind free from stress is amazing. If you are the type of person that gets worked up probably because of how tough it is with handling your family, a good touch of music would soothe your mind and make you feel better.